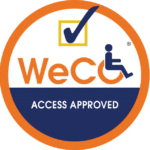 Upon successfully completing WeCo certification training, each Accessibility Tester earns the title of “Certified Test Consultant” or “CTC.” They are then welcomed into our Certified Test Team. Cognitive: including, but not limited to, Autism, Attention Deficit Disorder, clinical depression, psychiatric and memory disorders. Mobility: including, but not limited to, spinal cord injuries, Arthritis, Multiple Sclerosis and Cerebral Palsy. Want to know more about becoming a WeCo Tester? Learn more or contact us! The Accessibility Testers featured on this page are our very best. 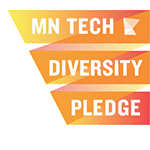 They have achieved excellence in their careers and have earned a place on the WeCo Testing Career Path by completing specific requirements for advancement. Senior Certified Test Consultants: Senior Certified Test Consultant (or Sr. CTC) is the first level of advancement and is reserved for Testers who have demonstrated consistent mastery of their testing skills over time. Lead Certified Test Consultants: Lead Certified Test Consultants (or Lead CTC) is the second level of advancement and is reserved for Testers who have demonstrated testing excellence and an “over and above” dedication to their work. They are often called upon to mentor new Testers and are the viewed as WeCo Certified Test Team leaders. This photo gallery contain photos that are the exclusive right of The Wehrman Collaborative, LLC © 2018. Permission is granted to use these photos in conjunction with media coverage of WeCo. All other uses of these photos infringe on the copyright and are not allowed.